Palm Treo will be hit hardest by iPhone release | BlackBerry Blast! T. Michael Walkley, an analyst for Piper Jaffray wireless hardware, has released a new research report on Palm and the potential impact of the iPhone. Walkley says Palm will be hit hardest by the release of the iPhone. "With the BlackBerry Curve ramping and iPhone launching June 29th at AT&T, we view Treo as the most impacted by these launches and anticipate even further declines in sell through trends." The report indicates that clerks at AT&T stores are already experiencing frustration when trying to sell Palm Treos. 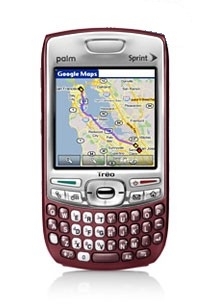 RIM has released the BlackBerry Pearl and the BlackBerry Curve in recent months while Palm has released the Treo 755p.